Join us at our 6th Anniversary Party! 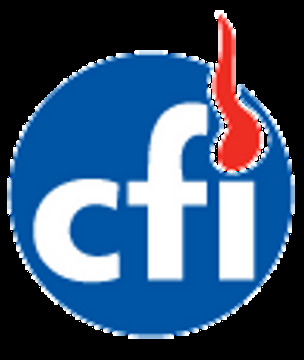 In the last couple of years we have expanded our scope of interest to include secular and humanist themes, and we have expanded our social events. 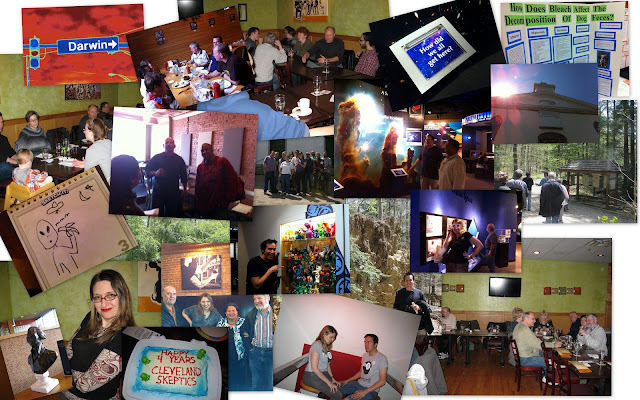 We now host game nights, hikes, book clubs, and Thinking Skeptically events with interesting speakers. Our facebook group has become very lively and we have promoted more activism opportunities through social media. Our active members have grown to a great group of diverse people and friendships have grown. This is a whole lot to celebrate! [UPDATE- date is 5/24/14, please see link below for RSVP details.] As it was last year, this will be a great party with one hell of a fantastic venue. Penitentiary Glen is one of the best parks around with something of interest for people of all ages. Penitentiary Glen has a very nice nature center and gift shop open until 5PM. In addition they have a large wildlife center with indoor and outdoor area where you can visit with many animals including reptiles, mammals, and many raptors including Bald Eagles. 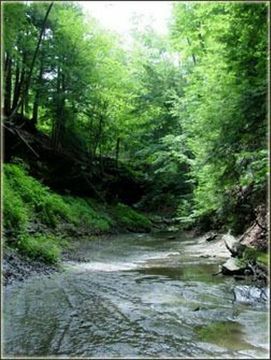 (Open until 5PM) And of course there are the natural areas themselves- 424 acres of forest, fields, wetlands, and over 7.5 miles of hiking trails. We can even view the stars after dark if we luck out and get clear skies. Last year we played lawn games, roasted marshmallows, played games and generally chilled out with nature and friends. Please see our meetup page (open to registered members of the group) for important details on RSVPing. This is for everyone putting Sylvia Browne into search engines and hitting our site. YES, Sylvia Browne did tell Amanda Berry's mother that she was dead in 2004 on Montel William's show. For those of you saying, "Who cares about Sylvia Browne?" I say to our surprise as well a majority of people find us through searching for Sylvia Browne and have been since we first wrote about her in 2009. People are googling her name constantly and we'd rather they find this information than hers. We are all extremely happy that Georgina "Gina" de Jesus, Amanda Berry and Michelle Knight were all recently found alive and well here in Cleveland. It is wonderful this is one of those rare occasions when someone is missing for so long but eventually safely re-unites with their loved ones (Edit- It is with great sadness to report that Amanda Berry's mother who spoke with Sylvia died in 2006 before ever learning that her daughter was still alive.) From news reports it sounds that many people continued to support the friends and families of these young women while others, perhaps, did not. Maybe she just missed this one, right? Even psychics make mistakes? But this isn't the first time Browne has really missed the mark. I can't imagine how many people in desperation have come to Sylvia Browne (and others like her) and how many have been willing to pay her money just for one shred of a chance of some glimmer of hope or information. They traveled to this show for this, only to be told he was dead. Sylvia told another woman looking for her 6 year old granddaughter, Opal Jo Jennings, that she was taken into slavery into Japan, even giving a specific location name. What? It's bad enough not knowing if she's alive or dead but now this poor woman must have started worrying that her grand daughter was in a foreign land where she couldn't help her. She could have been tempted to spend money and time to go there. Sadly, Opal Jo was found dead. She had been killed not long after she had disappeared. This video shows many more unfortunate ooops situations which sadly, were more than just an "ooops" to the grieving people coming to her for advice. ...My parents had died, and I needed to find some meaning, some explanation for it. There's a sucker born every second, yet I thought I was immune. I thought I was enlightened, educated, and open to new ideas, even ones with no proof. I told myself that some things just don't need proof; some things just have to "feel" right. It's been seven years since my parents died, and I still grieve for them, but it's been long enough now that I can see that time in my life clearly. Just before I sat down to write this email, I gathered up all the books, tapes, and other Sylvia Browne garbage I could find, and tossed it in the garbage where it belongs. Again, we are all very happy for the three young women and their friends and families who have been through much and who will be recovering for so long. May anyone out there who is still grieving for a lost love one consider this information about Sylvia and others like her in their hours of darkness when they want nothing more but some glimmer of hope or information. There are many people in the world who are more than happy to lend a supportive shoulder and not ask for a single cent. 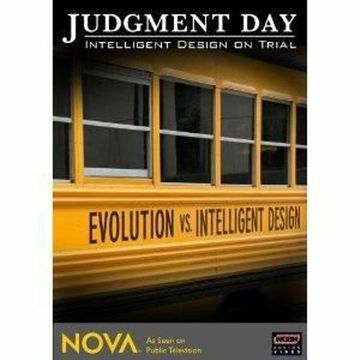 Join The Cleveland Skeptics for a screening of NOVA's Judgement Day about the important intelligent design court case out of Dover, PA. Afterward, we will have discussion and commentary with our very special guest Dr. Patricia Princehouse. We are extremely excited to have Dr. Princehouse come and talk with us. She has been considered, "a major voice in the struggle to secure the integrity of science education in America's public schools." She consulted on the Dover trial and the John Freshwater case in Ohio. She teaches History and Philosophy of Science at Case Western Reserve University and she's also an evolutionary biologist that studied with Stephen Jay Gould. Watch her in action as she debates Michael Behe on C-SPAN. Please bring a snack or drink to share. Movie will start at 1pm. Please arrive on time so that we can start watching the movie without interruption. Dr. Princehouse teaches Evolutionary Biology, and the History & Philosophy of Science at Case Western Reserve University, where she is co-director of the College Scholars Program, and has won many teaching awards. Originally from Dayton, OH, Princehouse earned a Masters in Biological Anthropology from Yale, and her PhD at HarvardUniversity, working with Everett Mendelsohn, Richard Lewontin, and Stephen Jay Gould. Her scientific work concerns primate evolution, and she has done museum and fieldwork in North America, Europe, and Africa. Believing firmly that academics must not isolate themselves from the public square, Princehouse has become a major voice in the struggle to secure the integrity of science education in America's public schools. Interviewed frequently in the national and international press, Princehouse helped found Ohio Citizens for Science and Help Ohio Public Education. She serves on the board of these and other organizations, including the Campaign to Defend the Constitution, and helped advise the plaintiffs' legal team in the 2005 Kitzmiller v Dover trial. Her work has won recognition and awards including Ohio Magazine's Educational Excellence Award, the 2006 Hefner First Amendment Award, and the 2003 "Friend of Darwin" Award from the National Center for Science Education. We are very happy and lucky to have Dr. Princehouse as our first speaker for our Darwin Day celebration. You can read more about Dr. Princehouse by clicking here. Join the Cleveland Stop on the Paranormal Road Trip! Saturday, October 20th at 8PM you are invited to join The Cleveland Skeptics while we hang out with Richard Wiseman, Jon Ronson and Rebecca Watson as a part of their Paranormal Road Trip! We are honored and excited to be hosting Richard, Jon and Rebecca as a stop on their road trip down to the CSICon in Nashville, TN. While on the road, they will be going on skeptical investigations of spooky (and spurious?) things perfect for a trip in October. The Cleveland Skeptics is hoping to meet some new area skeptics at this event and introduce you to many of our fantastic members. You do not want to pass this up. Please join us at Mavis Winkle's, 5005 Rockside Road Cleveland, OH 44131 on October 20, 2012 at 8 PM. You must RSVP, please keep reading. Seating is limited so save a spot today! If you are already a Cleveland Skeptics member, please RSVP here. All others, please email theclevelandskeptics at (we use g mail) for further instructions because seating is limited and reservations are filling up fast. We hope to hear from you! 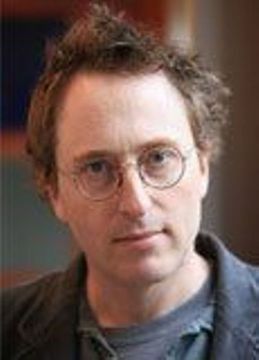 Jon Ronson is a writer and documentary filmmaker. His books, Them: Adventures with Extremists, The Men Who Stare At Goats, and The Psychopath Test, all internationall best sellers. 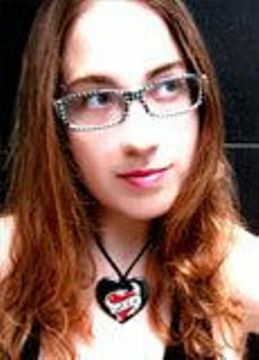 Rebecca Watson leads dozens of skeptical writers, artists, and activists on the Skepchick Network. She also cohosts The Skeptics’ Guide to the Universe podcast. 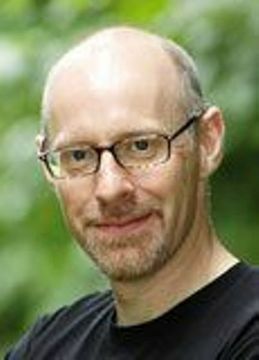 Richard Wiseman, PhD, is Professor of the Public Understanding of Psychology at the University of Hertfordshire in the United Kingdom. He is one of Josh's favorite authors having written many books, including 2011’s Paranormality: Why We See What Isn’t There. Why would someone trap a kitten in cement? Let's DO something. This story is making the rounds today. Stasy (to honor Isaac's apostacy and bravery in remaining in the area in order to help fellow apostates) was freed from the cement and taken to Best Friend's Animal Society, a wonderful rescue sanctuary in Utah. Although they were not able to save poor Stasy, they are still helping and hope to help, many more animals in need for many years to come. Let's make that happen. Don't let the unreason that led to this innocent death be for nothing. Don't let Stasy be forgotten! We are up to $560! Thank you so much everyone, we can do this! Update 7/14/12- We are up to $785, just $215 to go! And of course please spay or neuter your pets and adopt a shelter animal if you can. 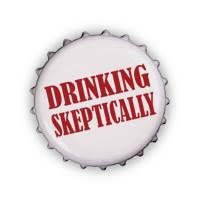 What's new with the Cleveland Skeptics? The last few months have been very busy for TCS. There have been many changes and a lot more activity. You might say we've been, born again. Wait. Let's not. Expect new buttons in the weeks to come. They will be freely distributed at our events to spread the word. Next, we have a new twitter account @CLEskeptics. Once we get a critical mass of members following, we may start using this to send event related alerts such as, warning, traffic jam, avoid intersection of Mayhem Blvd. and Angry Ave. This is also linked to our Facebook fan page so that things we post on the fan page pop up in the twitter feed. Finally, the most important change has been a wider variety of more frequent and fun events. We've been doing more purely social activities such as Bowling for Reason (which will be semi-regular), movie nights, hikes, and as always since 2008, the ever popular Drinking Skeptically. In fact, as of this Saturday, we will have had 20 events in the last four months! A little something for everyone. Other highlights include a trip to the first Mormon temple built by Joseph Smith, a lecture by Peter Salk about his father's legacy, The Mythical Creatures exhibit at the Cleveland Museum of Natural History and our 4 year anniversary. In the months to come, James and Michael will be hosting regular Gaming Nights for us to exercise our brains, make friends and have fun. Lastly, the most important thing to celebrate is our wonderful members and their ongoing contributions to the mailing list, Facebook page and of course, our events. You are an ever intellectually challenging, fun, creative and wonderful group. As Josh loves to say, "Stay Skeptical!" It's time to take a look at our psychic predictions for the year 2011. We'll take a look at what the hits and partial hits were for 2011. Ginger had several predictions that were hits and partial hits. Although, our standards for what qualifies as a "hit" is different from that of the psychics and their proponents. Also, we should not forget when there was a PlayStation Network outage that left millions of gamers stranded in their parents' basements. This can definitely be considered a hit by "professional" psychic standards. The next prediction on Ginger's hit-list was, "Jack Lalanne will die of a massive heart attack." While Jack LaLanne did die, he did not die of a heart attack. In fact, LeLanne died of respiratory failure due to pneumonia on January 23, 2011. If we were using strict standards, this would be only a partial hit. Again, we're using "professional" psychic standards. Therefore, this is another hit. Unfortunately, another one of Ginger's predictions came true. I say unfortunate because it was the prediction that "Christopher Hitchens will pass away, but no death bed conversion." Sadly, Hitchens died on December 15, 2011. This was bad news for the skeptical and secular world at- large, but that means Ginger gets another "hit" for her psychic predictions. That's three hits for Ginger. Mark T. had his own "hit" with one of his 2011 psychic predictions. Mark predicted "A Republican will say something stupid." All one would really have to do to find proof that this prediction was a "hit" is watch The Daily Show with Jon Stewart. Ray and Mary had several predictions that were "hits" for the year 2011. Their first prediction was, "FOX News will produce false-negative reports about the Obama administration." Good for Ray and Mary because their prediction was a "hit", bad for Gretchen Carlson when she claimed that the Obama administration was going to impose a "Christmas tree tax." That's one point for Ray and Mary. Ray and Mary also got a hit when they predicted, "Extreme weather will occur in the US and the rest of the world. (This has nothing to do with global warming)." As long as they are saying that "this has nothing to do with global warming," this is a hit. You can check out this page from the National Oceanic and Atmospheric Administration's website to see that this is definitely a hit. Ray and Mary's prediction, "Glenn Beck will be involved in a big scandal and fired from FOX," became another hit. In April of 2011 FOX News announced that Beck would, "transition off of his daily program." That's three points for Ray and Mary. Randy S. had a "hit" of his own when he predicted, "people will begin seeing Michael Jackson in high-end antique stores, or cub scout meetings." While those two specific places were not hit upon in 2011, this can still be considered a hit. There's a website dedicated to Michael Jackson sightings and it does feature "sightings" from 2011. That's one point for Randy S.
Randy P. gets a point for predicting, "A magnitude 8.0+ earthquake will strike Sarah Palin's Alaska." While there was not an earthquake of the magnitude Randy P. predicted, he still gets a point for the 3.9 earthquake that occurred in Anchorage in late December 2011. That's a point for Randy P. He also got a hit with, "The sky will turn dark once in 2011 somewhere on Earth during daylight hours." There was more than one eclipse in 2011 according to NASA. Randy P. had another "hit" when he predicted "The sky will be filled with blazing trails of light on Monday, January 3." Wendy had a hit when she predicted, "There will be a big earthquake in California." While "big" was not defined or explained, it can still be a hit because of that 4.1 earthquake that occurred January 8, 2011. That's one point for Wendy. Finally, I myself had a few hits from my 2011 predictions. First, I predicted, "Steve Jobs will come out with a new version of the iPad." This most definitely became a hit when Jobs introduced the world to the iPad 2. Unfortunately, I just happened to miss the whole Steve Jobs dying part of 2011. Oops! I still get a hit and that's one point for me. My proudest prediction is, "Oprah's new network will fail miserably." It turns out that Oprah had a very disappointing first year of her new OWN TV network. Maybe she'll be able to turn it around...maybe not. That's two points for me.